Work on skip counting (a.k.a. 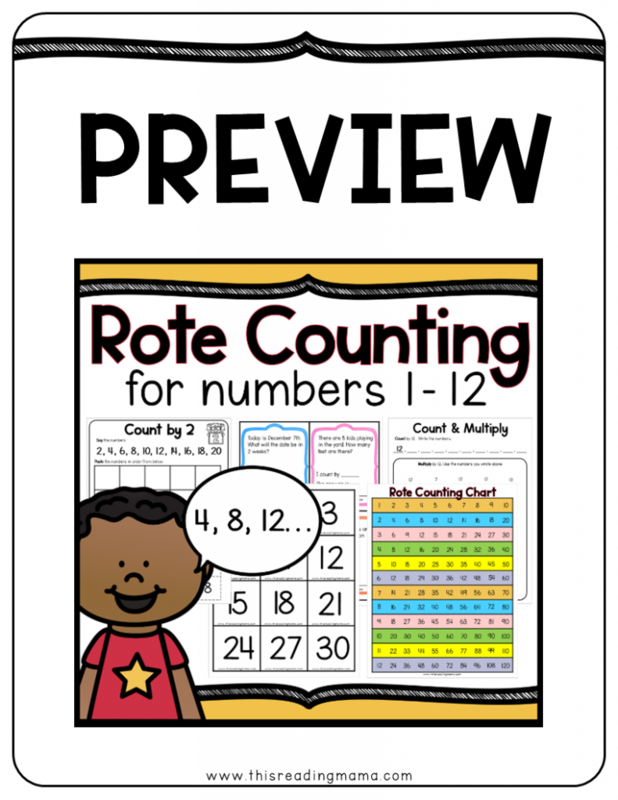 rote counting) with this interactive Rote Counting Pack. You’ll find that your learners can better master repeated addition and multiplication when they have mastered rote counting, too! 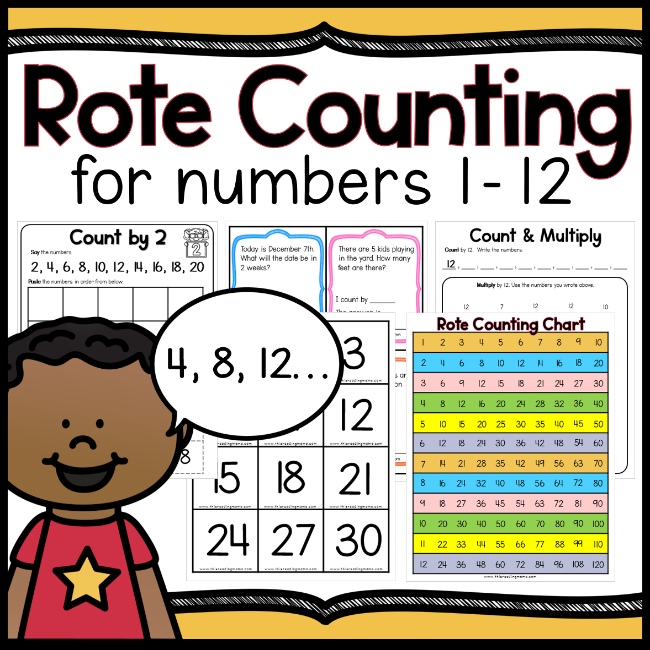 Did you know that rote counting skills can help learners with repeated addition and multiplication facts? That’s why our Rote Counting Wall is a staple in our schoolroom. This rote counting pack has exactly what you’ll need to help learner get repeated practice with skip counting…with very little prep work on your part! Or purchase this pack from Teachers Pay Teachers.